Kanti & Hemi Gala are Founder’s Executive Diamonds in the Amway business. They have one of the biggest, and most successful Amway businesses in the world. Truth be told, they are Amway legends! They are originally from India. Like many people, they moved to the United States looking for a better life. They came here to get a solid education. Kanti has a PhD in chemistry and he had a short career in the pharmaceutical world before joining Amway. Hemi was a doctor herself, and owned a large medical practice. They learned about the Amway business way back in 1985, but they didn’t get serious about their business until 1987. After attending a Free Enterprise Day, the couple decided to “sell out” to the Amway business and build it on a grand scale. They quickly rose through the Amway ranks and built a team with more than one million distributors in it. Their business now spans the globe and they have thousands of Platinums, Emeralds, and Diamonds leaders in their team. They are one of Bill Britt’s largest legs and they have one of the largest organizations in all of Amway. Most of their team is in India. After making the decision to build an Amway business, they moved back to India and they were one of the first successful distributors there. The couple was originally affiliated with Britt World Wide, but they decided to start their own successful training system (Amway Motivational Organization), which is now known as Winner’s International. Winner’s International is a training system that provides business support materials such as tapes, books and seminars and other business tools to Amway distributors in its line of sponsorship. Their upline Diamonds are Founder’s Ambassadors Bill and Peggy Britt. Their upline Emeralds are Gary and Debbie Bostic. Although I don’t know too much about this couple personally, I’ve heard that they are fantastic speakers, trainers and motivators. After nearly 30 years in the business, they are still actively building their business and speaking at functions and rallies. 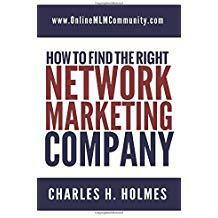 They are a true credit to the network marketing industry. Anyone that can build a team of one million or more distributors and be with the same company more than 30 years is obviously a huge success story. If you have ever worked with them personally, I would love to hear your story. Please tell us about how you met them, when you met them, and about your personal experience working with Amway Executive Diamonds Kanti and Hemi Gala. I look forward to hearing from you. Seems to be an amazing story of success Chuck. What really took me is how much money doctors and chemists can make, especially in the United States. I was surprised to hear that instead of going with their prospective fields of study, they chose to follow the Amway system. This goes to show that if someone that really could have been doing fine financially with what they studied for, chose to follow an MLM route, and succeeded, we can too. Thanks for this post. It really opened my eyes. There is money to be made in every profession, if you think outside the box, have a unique game plan and work diligently. Yes, you are right Chuck. I think that what happens is we listen to much to dream breakers. Negative people tell us things like you can’t do it, or there is no money in that. We tend to believe them and that is when we falter. I have learned to take dream breakers words and make them challenges. Oh, you don’t think I can; I will show you. That system has worked well. Many said I could never publish a book, now I have over 50. Never say never!